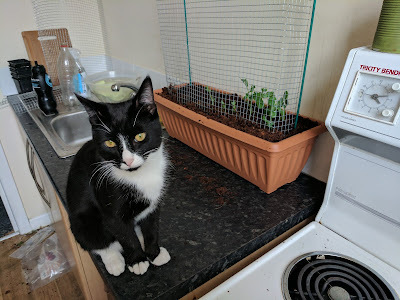 If you like a challenge, I can recommend sharing your indoor gardening space with two young, excitable and endlessly curious kittens. 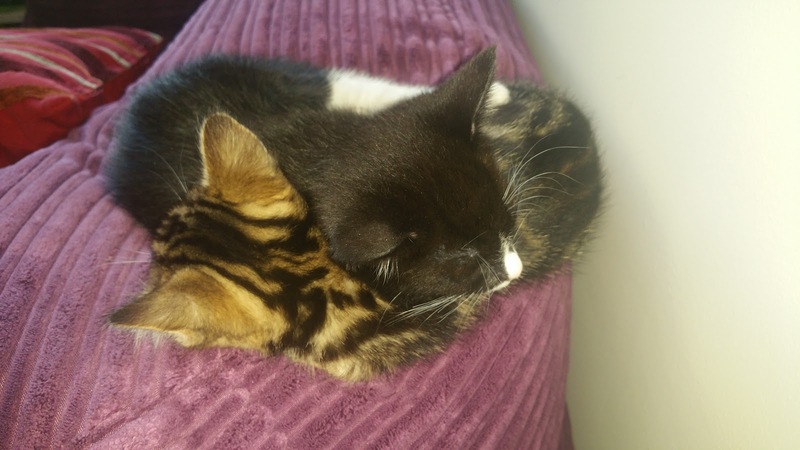 These two little terrors came into my life last November, right around the time I was starting to make preparations for growing food in my modest, gardenless flat. They love to attack each other, almost as much as they like to attack my shoes. They're brother and sister, and while they might not be compatible entirely with my longer term plans they're a joy to have around for now. 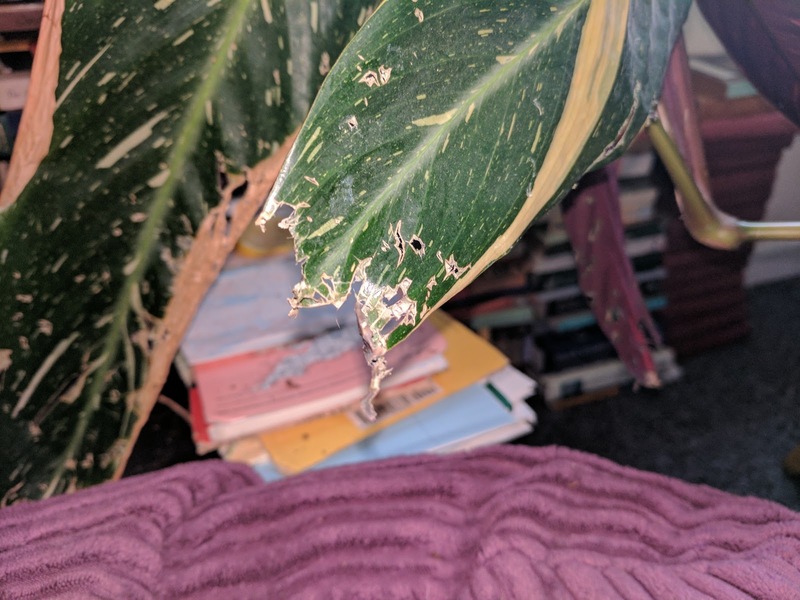 Anyway, something they've really developed a fondness for is eating my plants. This is fine, up to a point (and it beats being attacked in bed, which is the other, almost as effective way they've found of communicating that they're hungry). But when those plants are ones I'm growing in order to eat, I've had to come up with more creative ways to keep them away. 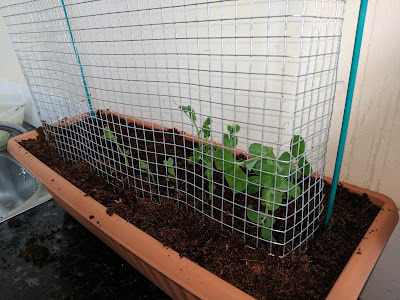 It's as simple as it looks, just some chicken wire, stuck into the bottom of a planting trough and held in place by the soil around it, plus a couple of stakes. The shoots have been transplanted from ones I've allowed to sprout on the kitchen windowsill over the past 3 weeks. 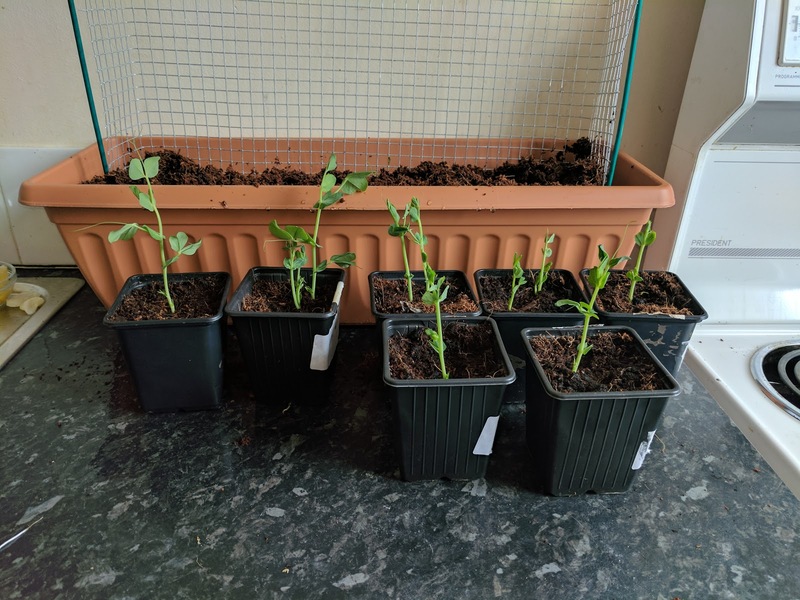 Next to these I've added some new peas, quite close together to see what sort of yield I can get in this kind of space. The chicken wire (kitten wire) covers the trough on three sides, with the open side against the kitchen wall. Monk is not impressed at all.